If your business has embraced Pinterest as a marketing tool, then it is important to start looking at the metrics in Pinterest Analytics. They will reveal how effective your business is on the social network. It is important to know if the time you are spending on the site is producing valuable results, rather than simply taking a slice from your daily routine. Analytics will tell you what type of content is the most beneficial for you to pin by revealing the response from your target audience. It is also a way to see how many followers you have on your account. Ready to start looking at your own Pinterest Analytics? First, you will need to verify your website. You can do this by uploading an HTML file from Pinterest or adding a Pinterest meta tag to your website. This allows Pinterest to verify your website and users will be able to see your full URL in your profile. It will also appear in search results. Once your site is verified, you will be able to access the analytics from the settings drop-down menu at the top right corner of your account page. The set-up is similar to Google Analytics. You can view data from the day before, the last week or even two weeks earlier. There are four main tabs in the analytics dashboard: Site Metrics, Most Recent, Most Repinned and Most Clicked. You can easily export each set of data into an Excel spreadsheet for a deeper look. This metric lets you see how many pins, on average, are being created from your own website each day. Knowing how many pins are being created from your site gives you an idea of whether the visual content on your Web page is “pin-worthy.” If you aren’t seeing a lot of pins, then it is time to start investing more time into creating better visual content. It can also help to place the “Pin It” button near your images. Repins are a great way for your content to reach even more people. If someone who has pinned an image from your site, it will appear in their Pin feed. That means their followers will see it and possibly repin it to their own boards, which puts it in front of their followers. That multiplies the number of people seeing and repinning your visual content. Looking at this metric lets you see the number of pins from your website that were repinned by other users. Your reach on Pinterest tells you the average number of people who see your pins each day. This helps you determine how effective your content is after it is pinned and repinned. You can figure out your reach by looking at the Impressions and Reach graph. Pinterest has proven to be a great gateway for people to land on your webpage. It drives a large amount of traffic every day. Looking at the number of clicks and visitors shows you how many people visited your site through your pin. This gives you a better idea of which pins drive the most traffic. If you want to see a lot of repins, you need to create images that push for higher engagement. The more impressive the image, the more often it will be pinned. Knowing the most pinned images helps you see what type of content you should be providing on your website. Looking at the most clicked content shows you how much traffic is being driven to your website through Pinterest. Knowing what pins are drawing interest and bringing more visitors to your site reveals what images can help bring in revenue. 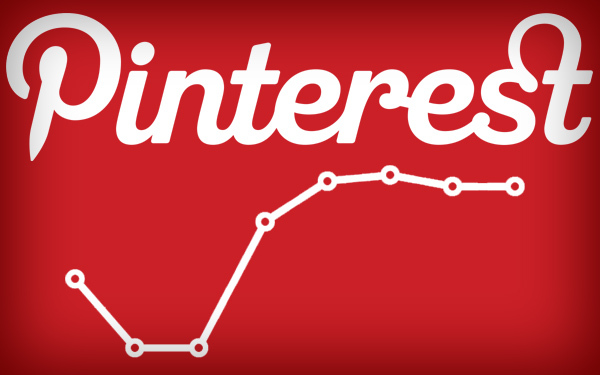 Are you keeping up with your Pinterest analytics? What benefits are you seeing from Pinterest for your business? This wonderful post is written by Dawn Pigoni and taken from SiteProNews. It is possible to recover your blog from Google’s Penguin 2.0 update penalty?